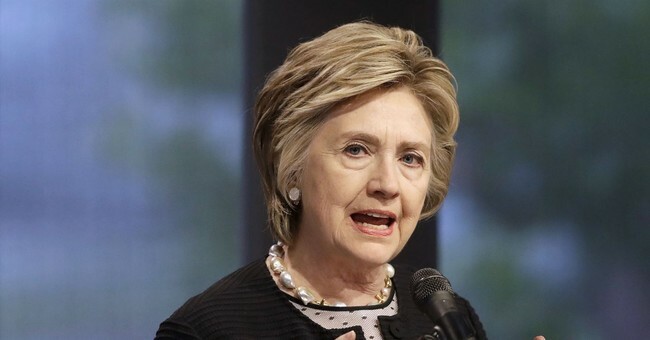 In an interview with BBC on Friday, Hillary Clinton had choice words for President Donald J. Trump, while ignoring the sins of her husband. The former Democratic nominee condemned the alleged actions by Democratic Hollywood mega-donor Harvey Weinstein in an interview with Andrew Marr. But when pressed on allegations of her own husband's sexual misconduct, Hillary Clinton was rather dismissive. Clinton's comments come after explosive reports that Harvey Weinstein's sexual abuse spans decades and dozens and dozens of Hollywood starlets. Despite money trails showing that Weinstein has been a strong support of Clinton, the former Secretary of State denied she given cash by the accused sexual predator, As Townhall earlier reported, Clinton told Channel 4 she didnt know how much he had a given. “How much,” Frei wanted to know. “I don’t know, 12, 16 thousand dollars, something like that,” she responded. In reality, the movie mogul donated $46,350 to Clinton during her presidential candidacy and to HILLPAC, a political action committee she used while she was in the Senate to support other Democrats, the Associated Press reported. Earlier in the week, Clinton said she was "shocked and appalled" by the allegations against her friend and benefactor Harvey Weinstein.